The world needs more of a lot of things these days. You know, like peace and compassion and all that. What else does it need more of? Cute kids, pigs, carrots and fall foliage, which is why Neil Patrick Harris taking his twins to a fall harvest festival may just be the best thing that has happened this week. Exhibit A: this Instagram slideshow. This country cuteness comes to us by way of Neil Patrick Harris’ husband and co-parent, actor and blogger David Burtka, who posted the shots of the family’s excursion to the Stone Barns Center’s Harvest Festival in upstate New York. Burtka captioned the photo collection, “Thank you @stonebarns for your annual Harvest Festival. There is nothing our family loves more than spending time on a farm, and here are the pics to prove it! @nph.” Did this guy just write a write thank-you note to… a farm? Yes. Yes he did. So what did the family do at said festival? A better question would be, “What autumnal cuteness did they not partake in?” Six-year-olds Harper and Gideon posed with chubby pigs, climbed on wooden fences, plucked carrots from the freshly tilled earth and scrubbed said carrots over a tin bucket of muddy water with nail buffer-looking thingies in a fetching Little House on the Prairie sort of way. And don’t even get us started on the kids’ farm-fancy outfits. Harper rocked a red gingham blouse, matching hair bow and denim shortalls, while Gideon was criminally cute in a straw hat. 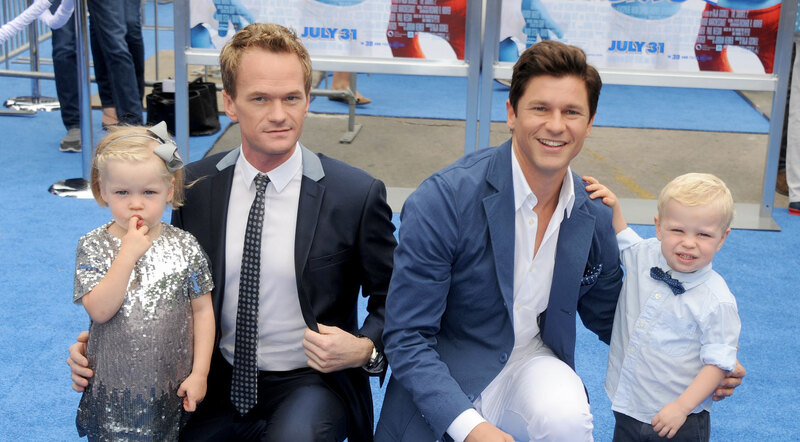 Harris and Burtka are winning at fatherhood in a big way. Recently, the couple took their kids to Alaska. Harris posted a slideshow of their northern adventure in case you were wondering. We know you were wondering. And they thanked their Alaskan guides. Because of course they did. These guys!